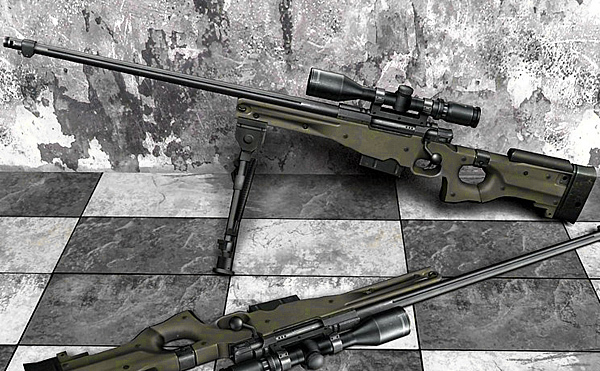 Excuse #1 – The AWP doesn’t require any skill because it is one shot one kill. Killed you didn’t it? Well truth be told (and with armor on), the Glock (3burst), Deagle, both Shotguns, AK, etc.. can all be one shot one kill to the head. The M3 Shotgun can even do that when shot with a single shell in the stomach. What a lot of these newbies don’t realize is that up till CS 1.5 or so, the AWP was “one shot one kill” even to your small toe (didn’t matter where you got hit). Consider yourself lucky that the weapon has been toned down over the years or those doorbang body shots would do more than hurt. Excuse #2 – Drop the AWP, it ruins gameplay. Who are you kidding? Counter Strike’s success was built off a pixel perfect shooter, the AWP fit that model better than any other weapon did. If you don’t like it; a) Disconnect, b) Uninstall, or c) Get your own server and restrict it. Till then, nobody is required to adapt to a crybaby’s playing style. We all bought the game, so why do some of these kids continue to impose and be a CS-fascist in game? Just commit virtual Hara-kiri if you don’t like it (translated in English: rage quit). Excuse #3 – Real men don’t use an AWP. Real men also don’t play fight with pixels and live the life of a fake. Soldier up, and join the army if you’re that hard. If you’re lucky you might get some Kevlar (sorry, can’t bind armor and helmet to a key when you’re in the middle of Iraq). Next thing you’ll hear is “Real men have low steam ID’s”. Unfortunately for these guys, is that we’re laughing all the way to the top of the scoreboard (especially when the AWP tears through two of them with a single shot). Don’t entertain players who start off with this stuff in-game, they usually have real anger management issues (dealing mostly with the inability to lose) and/or are attention whores. The only way to communicate with them is with the kill-indicator in the top right corner, nothing takes a player out like a good old AWP. GL HF. Previous post: Breaking News: No such thing as Spawn Camping on Dust2! Next post: Decoy Sprays are absolutely HILARIOUS!